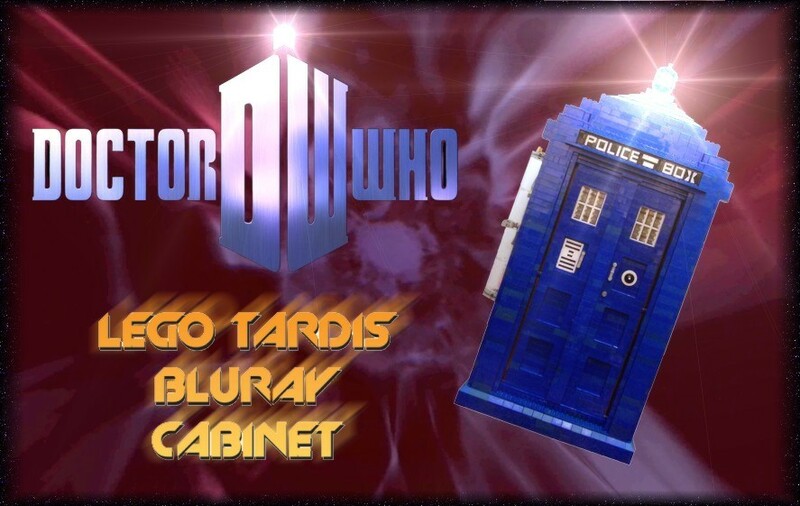 After saving up all my pennies and buying the fantastic Doctor Who Blu-Ray boxset, I decided to build a cabinet to hold this and other Blu-Rays. In fear of not having enough blue Lego to create all four sides of the Tardis, I decided to make each side different. The front of the cabinet is the Tardis. One of the sides features an enclosed holder for the Sonic Screwdriver remote that came with the set. The other side features a movie-theatre like marquee and hold for the “now showing” Blu-Ray. The back of the cabinet features the classic Cyberman logo, and also serves as a coin bank. I didn’t want to use any stickers, so I went for an all-brick build, with the only non-Lego part on this creation being the LED puck-light that is hidden inside to light up the beacon on the roof.